Welcome Home To Truly Authentic Loft Living In The Imperial Lofts! Corner Unit Provides Plenty Of Natural Light Through Large Warehouse Style Windows. Beautifully Maintained Exposed Brick With Natural Wood Beams Bring You Back In Time. 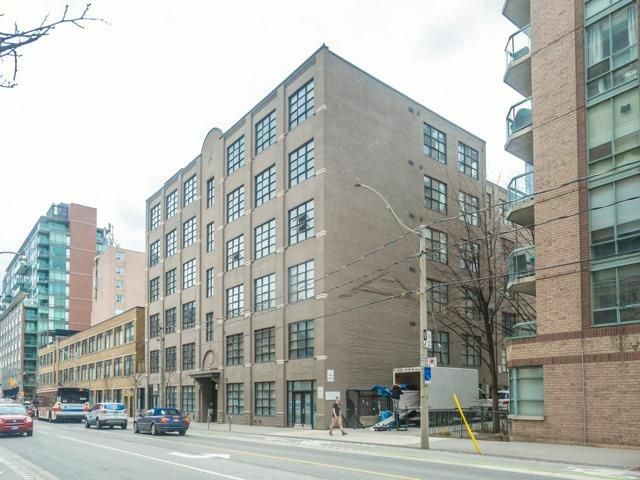 Features Such As 10.5 Feet Ceilings And The Original Hardwood Floors In Great Condition. Layout Allows For 2nd Bed To Be Closed Off If Desired. Prime Downtown Locale St. Lawrence Market. Rarely Offered Floor Plan.